At the beginning of the year, many people make New Year Resolutions, but so few people actually have success sticking to their resolutions. I have a different approach to achieving health and fitness goals in a New Year, and I think it can help you to stick with your resolutions. When people set resolutions, the resolutions are often all or none and this makes them difficult to achieve. This is the big problem with resolutions. Most people set resolutions to stop a certain behavior (forever) or start a certain behavior (forever). Trying to change our habits or behavior all at once and permanently is virtually impossible. So, it's easy to understand why people get frustrated and de-motivated before January is over. Instead of setting typical resolutions that are all or none, my strategy involves setting health goals for the entire year. Give yourself 12 Months to Achieve Your Goal! That's right, give yourself 12 months to achieve your goal. I know it sounds simple but let me explain how powerful this can be. At the beginning of each year, I sit down and write out about 20 things that I want to accomplish during the year. Here are some sample goals from last year. 1. 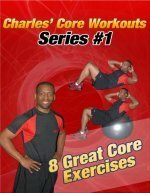 Read 10 fitness and health related books. When I set my health goals, I give myself until January of the next year to accomplish them. Goals are so much more powerful than resolutions. If you want to lose weight in the New Year, pick a goal weight for the end of the year. So many people start of the New Year saying they want to lose 20 pounds, and they actually lose 20 pounds, but unfortunately gain it back. If you set a goal weight for the end of the year, then there is an emphasis on maintaining your weight loss and beginning the following year ahead of where you were the previous year. We all have weight fluctuations for different reasons. Life is seldom linear, and we usually don't make progress in a straight line. So, if you gain a little weight during the summer, don't worry about it too much, you still have 5-6 months to achieve your goal. By the same token, if you don't lose weight as fast as you wanted in the first few months of the year, don't stress too much, you still have the rest of the year to achieve your goal. Giving yourself 12 months to achieve a health, fitness, or weight loss goal, takes some of the pressure off from trying to achieve everything the first week of January. Goal setting is important for achieving success in any area of your life, and if you begin to set and achieve small health and fitness goals, you will find it easier to set and achieve larger fitness goals. For many people they so rarely set goals that they are not sure how to go about it. Here are some tips on setting goals. Specific: Your goals must be specific. If you can clearly define what you want in specific terms it is much easier to achieve it. You could have a goal to lose weight, but this is not specific enough. Technically, when you go to the bathroom or sweat you lose weight, but that's not what most people are thinking when they say they want to lose weight. So be as specific as possible when setting goals, put a number with your goals if that makes them more specific. Measurable: You must be able to measure a goal to make it affective as a motivator towards progress. Setting a goal to feel better or get in better shape is not measurable, so there is no way to know when you've achieved the goal. Instead of setting a goal simply to get in better shape, set a measurable goal such as, "I run 1 mile without stopping in less than 10 minutes by December 2009" or "I perform 20 push ups in a row by March 20009". These are measurable goals for getting in better shape, and being able to measure progress is a great motivator. Attainable: This is a tricky element in goal setting. If you are setting out to do something you have never achieved before, then it is hard to truly know if it's attainable. If a goal is outrageous, it loses its motivational power. A general thought is that short-term goals should be 10-25% of the long term goal. Do your best to set a goal that you believe you can achieve, and then challenge yourself a little by adding 5-10% to that goal. Relevant: This is also a tricky element of goal setting. By relevant, your goals must be relevant to your overall family, work, and personal situation. Your goals must also be relevant to your values and beliefs. Let's say that you have a friend that has achieved a certain goal, it may be hard for you to achieve the same goal if it's not as relevant to your personal situation. Your goals must be intensely personal and relevant to your life. Time Bound: Having a deadline is an important part of motivation. We all know the feeling of urgency when we have a major project to complete and little time to do it. Without a deadline, there is no sense of urgency, and urgency propels us to achieve higher degrees of success. Having a time frame for the completion of goal is often a neglected part of New Year Resolutions, and as I mentioned earlier I think you should give yourself 12 months to achieve many goals or new behaviors. So, think about the above criteria when you're making New Year Resolutions (or setting goals at any other time for that matter). In addition to setting S.M.A.R.T. goals, you should write affirmative statements that are Present Tense, Positive, and Personal. These are the 3 P's. Affirmations are statements that help to program your mind for success. Affirmations help to keep you motivated, and affirmations help to change your habits by changing how you think about things. Affirmations should use the 3 P's. Present Tense: You can only live now, and your subconscious mind can only process commands and goals in the present tense. If you use Future Tense language, you are building in procrastination into your subconscious mind. For example, it you write the affirmation "I will lose weight", that creates less motivation because the subconscious mind has no urgency for things in the future. It is easier to achieve goals set in the present tense. Positive: Your subconscious mind better understands statements written in positive language. For example, "I eat healthy foods as my primary source of calories" is positive, and "I do not eat junk food" is written with the negative word "not". In the first the emphasis is on healthy foods, and in the second example the focus is on junk food. When possible, use positive language to shape your goals and affirmations. Personal: This is a simple step. Begin each goal, statement, or affirmation with the pronoun "I". Using "I" makes the goal personal. Your goals must be intensely personal. Here are some examples of affirmation statements using the 3 P Formula. I weigh less than 170 pounds. I read 30 minutes a day. I exercise 3 times a week. Affirmations can really help to change your mindset from doubt to belief. After you make New Year Resolutions or set goals for the New Year, you must keep reinforcing to yourself that you can do it. In order to stick with New Year Resolutions, you must change your habits. Habits rule our lives. Focus on changing your habits and then the goals automatically follow. If you are truly, looking for a permanent change, then you must change permanently. I know this is daunting, but it's the only way to achieve lasting results. If there are things that you are not ready to change, then don't fight against yourself. Instead, pick things that you have a strong desire to improve; desire is another strong component of motivation and achieving success. Pick things you have a strong desire for, set SMART Goals, write affirmations that complement your goals, and give yourself 12 months to achieve the goals. If you follow the above strategy, you'll be more likely to look back at the end of the year with pride about what you've accomplished. I have faith in you, so now it's just on you to make it happen.